It was only 10:30 a.m. on Sunday — 2½ hours before the kickoff for the New York Giants vs. Jacksonville Jaguars at MetLife Stadium — yet the Meadowlands Racetrack sportsbook parking lot was nearly filled to the brim with cars. Wait, are that many Giants fans already placing their bets on the first NFL game at the stadium to feature legal sports betting? A walk into the sportsbook and simulcasting area told a different story. Turns out those cars were for the many employees working the game. That was hardly my only surprise. I was told that anyone arriving at the track before 9:30 a.m. could get in, with a 3½-hour window before the game and an hour or two after being closed to all but those with $30-$40 parking passes for the game. Those actually are the hours for Secaucus Junction train service; the first train was at 9:41 a.m. The 8 a.m. tailgate time has been around for several years, actually. Lots of people were confused. My first parking lot attendant when I arrived at 8:30 a.m. told me to “go just down the road” and explain that I was just going to the FanDuel Sportsbook and I’d be let right in. Nope. The unhappy second attendant inaccurately claimed the sportsbook was “closed” as he shooed away a number of cars. Confusion abounded with employees inside as well — some of which is to be expected on the first week of the stadium/sportsbook challenge on game days. 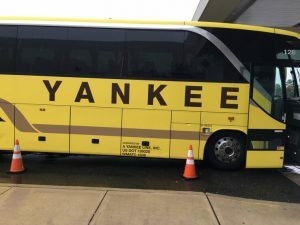 After driving down to Secaucus Junction to catch the 10-minute, one-stop train ride to MetLife Stadium, I arrived at the station to see no signage anywhere for the free shuttle buses promised for transporting fans to the sportsbook to make a wager. I have covered the Meadowlands Sports Complex and know it pretty well and even knew the buses would be in Lot G, but it still was a 10-minute walk to area G-17 — in front of the old Meadowlands grandstand — to catch the bright yellow bus (the color is a nice touch). The FanDuel signage on the bus varied, from easy to spot to not so much. I rather doubt that FanDuel doesn’t want to help people find their buses, but the Giants and Jets — like the NFL — have continued to be resistant to sports betting. Perhaps FanDuel and track officials figure they’ll take what they can get. Plenty of avid sports fans never have and never will gamble on those events. 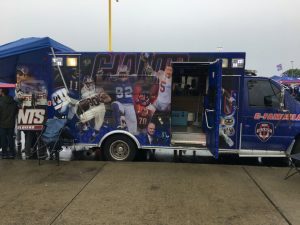 The Giants have tens of thousands of tailgaters who have gotten into their routine over the last one to four decades of often elaborate setups — custom-made vans, large BBQ grills, sometimes exotic menus, and of course coolers. They’re perfectly content to repeat the experiences they enjoy so much. Those who are avid bettors are liable to know that thanks to the New Jersey law passed in June in the wake of a historic U.S. Supreme Court ruling ending Nevada’s near-monopoly on sports betting, they can bet anywhere in the state — including from that chair in their tailgate area or even in MetLife Stadium, via mobile device. So for all those reasons, the traffic in the sportsbook for the 2½ hours before the game was steady but never overflowing. There were more than enough tellers to handle bettors, and plenty of seats available for those who wanted to linger a bit to avoid the light drizzle outside. 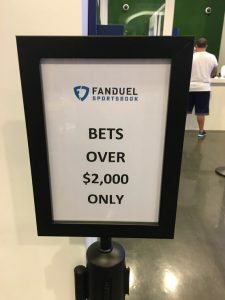 Tip: If you go on a busy day (tonight’s Jets-Lions game, featuring rookie quarterback Sam Darnold’s debut, in Detroit is liable to qualify, as do college football Saturdays), it’s worth knowing that there is a second sports betting area on the far right of the entrance (the main FanDuel area is obvious immediately on the left) and a “lounge” that can be accessed by ascending the escalator near the entrance. The latter is roomier, but both get the job done. The multiple TV screens showing a variety of NFL pre-game shows — some now heavy on sports betting information — was a hit with the more serious bettors. In fact, the FanDuel Sportsbook in general got positive reviews. “This is fantastic — even better than Vegas, the way they have set up the tables and the TV screens, plus the free shuttle,” said Eric Bay of White Plains, N.Y., who visits Las Vegas about once a year. One issue: The two ATMs just to the right of the sportsbook entrance (where the old-fashioned betting sheets are) ran out of money about 90 minutes before the game. But a security guard was savvy enough to point visitors to a third ATM just down the hallway. 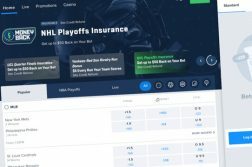 There was not a lot of awareness about the option to use online sportsbooks, like FanDuel, DraftKings, or Play SugarHouse, for “in-game” betting. Using those apps, you have ever-changing odds throughout the games, and some even have a “cash out” option where if your team is off to a great start, you can collect a small profit, or if your team struggles early, you can salvage a portion of your money and end the bet. Many bettors I spoke with were quite familiar with using bookies. The debate about whether those gamblers would gravitate toward legal sites — for legitimacy and consumer protection — vs. continuing to use bookies — with a chance to bet on credit, and to evade taxes — is not quite so simple. A 20-something named Tom from Long Island (like many people I spoke to who use bookies, he declined to provide his last name) told me that some bettors will simply use the bookie as an additional source of betting lines — and then go with the best value, whether legal or illegal. A handful of Giants fans walking about with bet tickets said they had never been to Las Vegas or been to a sportsbook anywhere else. By the way, a number of Giants fans told me there was no way they were risking money on the Giants in the game. “I like the Giants, but I don’t think they’re going to win,” said Eric Bay. Good call, Eric! 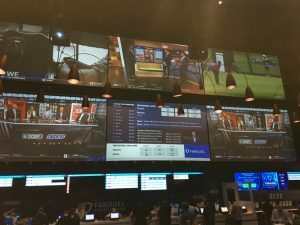 Keith Wall, the head of U.S. retail for FanDuel, said the availability of 15 TVs helped them feature any popular college football games that bettors wanted. He added that a prop bet on whether Odell Beckham Jr. would score a touchdown (he didn’t) was especially popular on Saturday. Circling back around to the topic we touched on at the top of this article, if you’re thinking about trying to go to this sportsbook on a football Sunday, you probably want to think twice. The cheapest way to get in is to go to Secaucus Junction ($18.50 for parking and round-trip train ticket). If you plan to arrive and leave near peak train service, that’s doable — as long as you’re willing to fork over what amounts to an almost $20 “cover charge.” At least the shuttle bus is free and there is no charge to enter the racetrack or sportsbook. 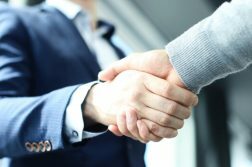 Planning on being a regular? Keep an eye out not only for the Giants and Jets schedules, but also major concerts and soccer matches at MetLife Stadium that may knock you out of spending an evening at the sportsbook. Tuesday is an Argentina-Columbia soccer match; there are Ed Sheeran concerts on September 21 and 22 (Friday and Saturday, which will present challenges). The Jets are hosting a “viewing party” at 6:30 p.m. tonight, a hour before kickoff, with ex-Jets Wayne Chrebet, Bruce Harper, and Fred Baxter. They will be around to sign autographs and take pictures with fans.